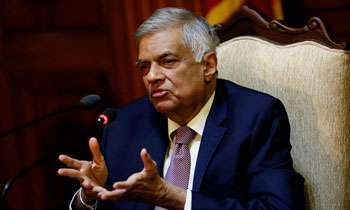 Prime Minister Ranil Wickremesinghe today assured further reforms to the United National Party (UNP) as recommended by the Ruwan Wijewardene Committee. The party leader said in a statement that Deputy Leader Sajith Premadasa would be given more powers while Subject Secretaries and Assistant Secretaries would also be appointed and the Constitution of the party would also be amended. “We intend to allocate new responsibilities to the Deputy Leader in order to further strengthen our journey towards victory so as to drive the process of organizing the party towards success,” Mr Wickremesinghe said in its statement. “The party intends creating new posts by appointing Subject Secretaries and Assistant Secretaries to further strengthen and organize the party. “We hope to give more opportuniies to young Members of Parliament to help drive forward the Party’s mission. We are aiming to gives specific responsibilities to each of the Members of Parliament and with this in mind we are developing an initial procedure to do this. Our process of reform and reorganization does not end with this. We have taken a policy decision to implement the suggestions mentioned in Ruwan Wijewardene Committee Report. We will take action to bring relevant constitutional amendments as well,” he said. He said many of the younger members of the team had involved in driving the process of organizing the UNP forward to enhance the Party. As such, a number of appointments have been made. Among those who have come forward to take on responsibilities is Navin Dissanayake who has been appointed as the National Organizer of the Party, the new general secretary Akila Viraj Kariyawasam and Harin Fernando has been appointed as head of mass-communication, Dr Harsha de Silva the Treasurer and. Ajith P. Perera appointed as Trade Union Secretary.